On the 27th and 28th January Premier Inflate exhibited at the INPAS Show in Liverpool, which is the first time we have exhibited before. Although the attendance of people who come was very low in comparison to other years, which was slightly disappointing for our first show, it was also great to meet lots of new people of the people who did attend. 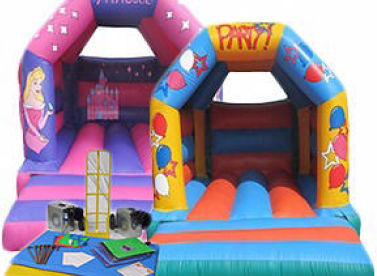 We got to speak to lots of bouncy castle hirers who we have never met or spoke to before and show off the quality of our bouncy castles. We had a few show castles which were all available at a discounted price for that weekend only and the feedback we got from people who looked at them was they were of a very good quality especially for the price they are for sale at. This was great for us and despite the low turn out it was definitely a great way to see our customers and other hirers and we will be attending again next year. Premier Inflate will also be exhibiting at the LSS show at Stafford show ground in October 2019 so we hope to met lots more people there.